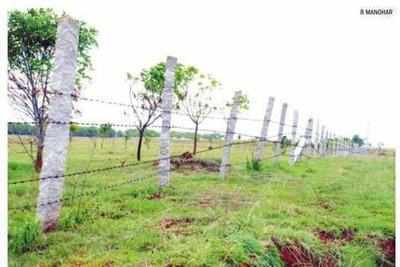 BHAWANIPATNA: The Kalahandi district administration has earmarked a 40-acre land near Bhanagabari village, four km from here, on the NH-59 that connects Khariar-Nuapadadistrict for the proposed medical college. Collector (Kalahandi) Brundha D said it is a suitable place for the hospital as it is well-connected. The land belongs to directorate of animal husbandry and veterinary services. “We will inform the state government to make a final call,” the collector said. Following Dana Majhi issue, the state government announced to set up a government medical college here and subsequently it had asked the district administration to find a 25-acre land near Bhawanipatna. Sub-collector Sukanta Tripathy (Bhawanipatna sub-division) said a place was required for the setting up of the medical college within five-km radius of the town and the patch fulfils the criterion. Bhubaneswar, Aug. 30: The Odisha government will set up a medical college in Kalahandi with the help of the Vedanta Group that will extend infrastructure support of Rs 100 crore, chief minister Naveen Patnaik announced today. The announcement, which followed a meeting between the chief minister and Vedanta chief Anil Agarwal here, came close on the heels of outrage over a tribal having to carry his wife’s body on his shoulders from a hospital in the district for 16km. “The proposed medical college will be run by the government,” Patnaik said. A medical college will also ensure a mandatory 500-bed hospital. Kalahandi, known for acute backwardness and poverty, does not have a medical college. The Sardar Rajas Medical College Hospital & Research Centre, set up by a private promoter in 2013, was shut down last year as the Medical Council of India withdrew recognition, citing lack of infrastructure. “A medical college and hospital is needed in Kalahandi. We will provide infrastructure support worth Rs 100 crore,” Agarwal said. The government will provide the required land and manage the medical college and the hospital. Vedanta, which has been running a 1-million-tonne alumina refinery in Lanjigarh in the district, has been assured by the state government of raw material through the state-run Odisha Mining Corporation (OMC). The refinery has been running only at 40 per cent of its capacity because of non-availability of bauxite ore. “We have been assured by the state government that we will be provided long-term raw material linkage through the OMC,” Agarwal said. National Thermal Power Corporation (NTPC) will set up a medical college and an engineering college in the State as part of its Corporate Social Responsibility (CSR) activities. Informing about the proposed institutes, Energy Minister Atanu Sabyasachi Nayak said the State Government has lauded the CSR proposal of NTPC. The location for the colleges are yet to be identified and talks are on, the Minister informed. National Thermal Power Corporation Ltd (NTPC), India’s largest power generation utility, has sought 15 acres of land from the Orissa government to set up a medical college. The company also intends to set up a power engineering institute in the state. The locations and other specifics of these two institutes are yet to be finalized. “NTPC has sought 15 acres of land for setting up a medical college in the state. It has also evinced interest in setting up a power engineering institute. The company has written to us, requesting for land allotment and we will hold an inter-departmental meeting soon to decide on the site for the medical college and the power engineering institute. The details of the medical college are yet to be finalized but as per the norms of Medical Council of India, they have to start with a 300-bed facility”, an official source told Business Standard. One of the conditions set by the state government for signing of the PPA was the setting up of a medical college and a power engineering institute. The second condition was allocation of 50 per cent power for the state from the two proposed super thermal power stations.”NTPC has claimed that it has got the approval of the Centre for allocation of 50 per cent of power for the host state. We have asked the company to produce a copy of the letter of approval of the Centre”, the source added. This is a good initiative by NTPC. The Orissa govt. must ask other industries to establish medical and engineering colleges in the industrial zones of western Orissa. In particular, such industry sponsered institutes need to be established in Sambalpur-Jharsuguda and Rourkela-Sudergarh belt.